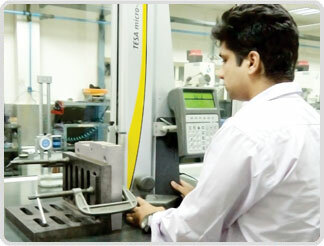 We ensure that our manufacturing facilities and technical know-how consistently remain at the cutting edge. From world-class design and engineering capabilities to best-in-class machining facilities till rigorous inspection and testing, everything is done in-house. 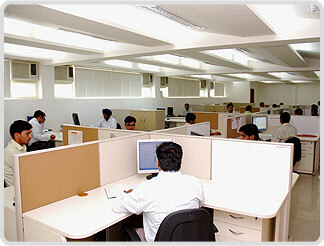 The key to our international acceptance lies in our R&D centre. Our machining facilities are amongst the best in the industry. 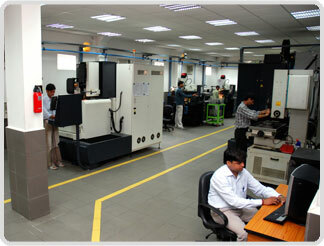 Our state-of-the-art machining facility is amongst the largest in our industry. We have a fully integrated facility, supported by well-equipped and modern Design & Engineering department, Tool & Die Manufacturing department and Testing & Validation cell. Our flawless inspection and testing facilities take manufacturing standards to levels of brilliance. This enables us to offer superior quality products to our customers. We have complete solutions for product and tool development, based on extensive technology, product design and product development expertise. The design centre processes are well-engineered to adopt best practices & technology; continuous improvement helps meet the growing challenges. We own high end CAD / CAM / CAE infrastructure for 3D modeling and NC tool path generation for high-speed manufacturing. We have a state of the art in house Tool & Die manufacturing department comprising of 3 axis CNC milling, other high speed milling machines as well as high precision CNC EDM and CNC wire-cut machines. The entire facility is inter-phased with the CAD-CAM center through fibre optic network, thereby ensuring high quality Tools & Dies in terms of consistency. The parts are validated at the dedicated inspection cell, having ultra modern instruments, under controlled conditions and strict supervision. The flawless inspection is carried out by dedicated team having expertise in inspection & testing of product by using quality systems & standards.